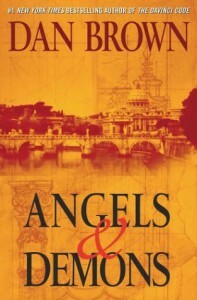 After reading The Da Vinci Code, which in my opinion wasn't such a great book and Digital Fortress (Which I liked), I decided to give Robert Langdon another chance with Angels & Demons. And it happened to be my favorite book by Dan Brown. You know, before reading, that it isn't going to be near to literature, so I didn't expected anything like that. That was OK for me in this book. I liked the story better than the one in the Da Vinci Code. He is said to do a lot of research before he writes a story, so I guess I've learned something about the buildings in Rome and the Vatican. I found that to be quite interesting as I've been willing to go to Rome for quite some time.